Many possibilities with this property! 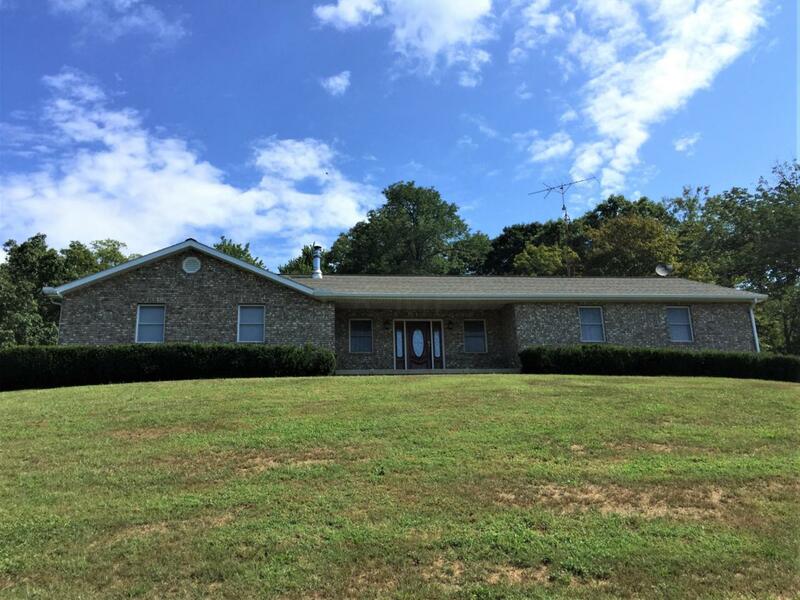 over 62 acres mostly wooded offers wildlife, pond, spring, pig barn and 30 x 48 pole barn with electric and water. Front porch view is spectacular! Large back covered porch is big enough for plenty of seating. Extra deck is set up for a hot tub. Paved drive with parking brings guests right to the back door. The large eat-in-kitchen can host large family gatherings. Oversized family room has a gas fireplace and could be split to add 3rd and/or 4th bedroom if needed. Laundry in 2nd bath. Full basement has shower and plumbed for toilet and hot tub also. Fuel oil furnace is augmented with a wood stove. Perfect for mini farm or how about starting your own hunting lodge business? $5000. flooring allowance! Paint Valley Lsd 7104 Ros Co. Listing provided courtesy of Lisa G Diehl of Kear Realty, Inc.